Lunch time today was a special treat: an old school cut throat shave. There are a few barber shops in Ottawa offering this and 3 of them are in the market area which was more convenient for me. 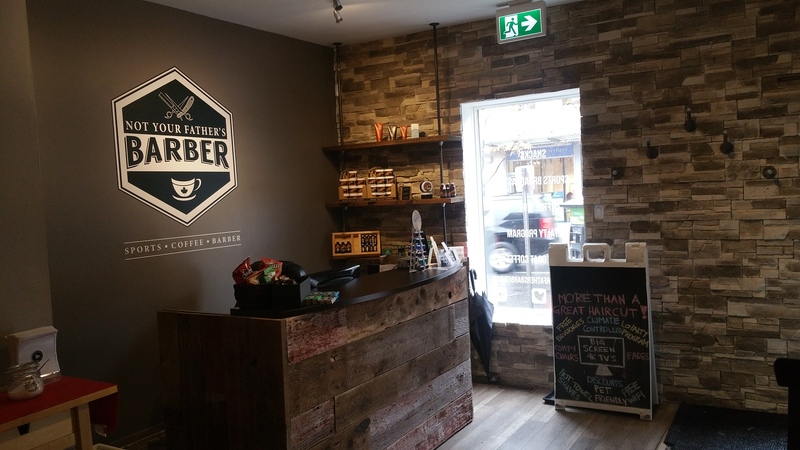 I opted to try “Not your Father’s Barber” for this service. They are located at 91 Murray street in Ottawa. I used their simple on-line booking to get my preferred time slot. The outside of the shop looks the part and is supported by a appropriately designed interior (manly, classic, and cozy). 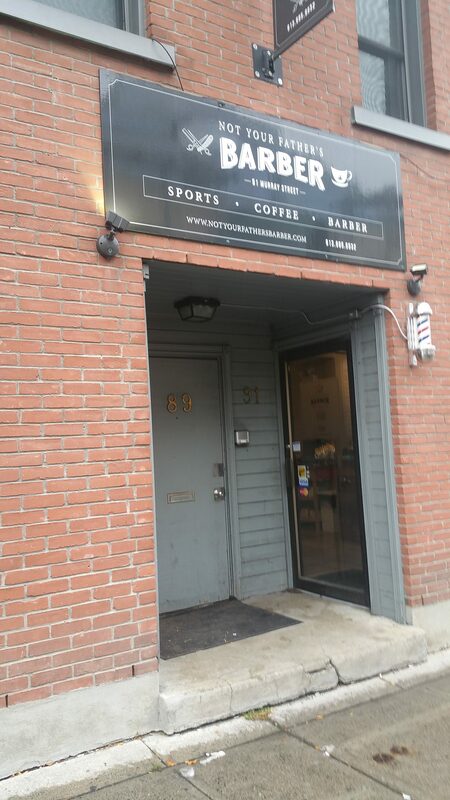 Plainly put, it looks exactly like what you would expect for a modern barber shop and I liked it. The classic/authentic red barber chair are also a perfect touch. The warm shaving cream offered a very nice feel. Usually working with a shaving cream that comes out of can, having a warm cream was a rich feeling. FYI – the Clubman shaving cream is geared to barber shop as it required the heating dispenser along with the 2-3 products that make up the actual shaving cream. In that sense, it is not something that is available for home usage. But if you are serious and have the space, why not. Honey!!! What’s this metal box thing?! Nikita took her time and I was treated to a meticulous shave. At no time did I feel nervous or uncomfortable. The actual blade only marginally felt different from let’s say a double edge blade. Obviously, it is a slightly different experience, but not a far stretch of the imagination. I thought it to be a very nice experience. In fact if our lives were a bit slower I could certainly picture myself getting such a shave on a regular basis. Continuing on the double edge razor comparison, the resulting shave was also comparable to that of a double edge razor. Don’t expect to get that smooth baby’s bottom feel, but it is a decent shave. A note on the products; having gone to far extreme in shaving products, by using pre-shave creams, foams and fancy after-shaves lotions, the Pinaud-Clubman after-shave was very old school, but this was also what I wanted to experience. Scent wise, the lime after shave is quite nice. Think: fresh and clean. Part of my motivation for trying this service was to experience a straight razor shave before trying it on myself. Another reason, was simply to “test” a proper Barber Shop shave. I enjoyed the experience and will do it again. In closing, the shop carries a good number of the Suavecito products. Specifically, the pomade and some of the oils. In case you are looking for these. During my time in the chair, Nikita shared a few particularities of her trade. One being that “Barbering” in no longer shown in school. She has followed the standard hairdressing courses, but this is focused on a female clientele as opposed to the men who would go to a Barber. Her Barber knowledge was passed on by Master Barbers along with hands-on experience. I guess this is sign of our times. 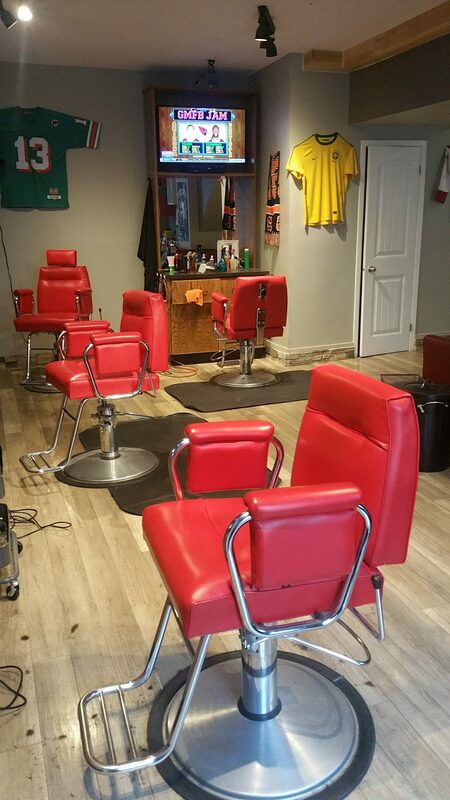 Over the last decades, Barbers have gradually dissappeared until the recent revival surrounding the whole grooming and styling associated with the Barber Shop. I was reading an article on the oldest Barber shop in Hull which was celebrating its 75 years of being in business. The Master Barber mentioned that at the time of opening their shop in 1940, there were some 105 qualified Barbers in the region. Not sure what that number is today, but it’s certainly no where near 100.